26.10.2014 (Hvino News). Georgian companies are exhibiting their products at the 15th Western China International Fair (WCIF) in the city of Chengdu, capital of southwest China's Sichuan Province, on October 23 - November 03. 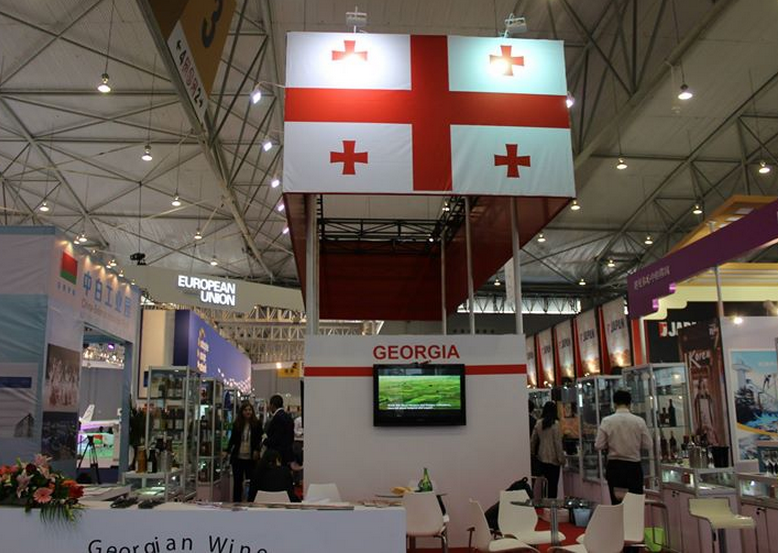 Georgian winemakers together with producers of juice, water and food companies are presented among four thousand participants from 72 countries. Among the wine companies represented in WCIF are Winery Khareba, KTW, Chateau Mukhrani, Bagrationi 1882, Kakhuri Wine Cellar, Kindzmarauli Marani, Qimerioni. Nodar Kereselidze, Deputy Minister Agriculture, who heads the Georgian delegation, said the export to China has increased by 100 percent this year. The 6th session of Georgia-China Intergovernmental Committee is also scheduled to take place in Chengdu during the WCIF. Chinese Vice Premier Ma Kai will attend the WCIF to deliver a keynote speech at the 7th Western China International Cooperation Forum during his stay in Chengdu. Foreign attendees to the WCIF include Czech President Milos Zeman. Western China International Fair (WCIF) is a state-level international exposition under the co-sponsorship of China's 16 ministries/commissions, 12 provinces(autonomous regions, municipality) and Xinjiang Production and Construction Corps in western China. The WCIF is held annually in Chengdu, Sichuan Province. The WCIF was founded in 2000. Based in western China, the WCIF has national and global influence at large. Established by the Chinese government, it serves as an important platform for investment promotion, trade cooperation and diplomatic service in western China.